If only two executives know the secret recipe of Coca Cola at any one time, and it is so well guarded, then how do they manufacture Coca Cola in plants without giving away this secret to the workers? The radio broadcast recording on the above link makes a very compelling case that the picture at the top of the page is really the original formula for Coke. Of course it has changed over the years; it's not exactly the same thing now as it was way back when. In addition to removing the cocaine, they've also cut the caffeine, switched from sugar to high fructose corn syrup and use phosphoric acid now instead of citric acid. The proportions of the 7X ingredients had to have changed as well over time, as the ingredients themselves have changed. Extracting oils is a very different process now than it was over 100 years ago. The idea that the formula is ever-so-secret is a marketing gimmick. Sure, the actual formula is a trade secret, but the massive effort to keep the world's biggest secret thing is just a bunch of theater. The "down to the gram" specifics of the production recipe today is a trade secret, but no more so than just about every trademarked, brand name food item sold today. 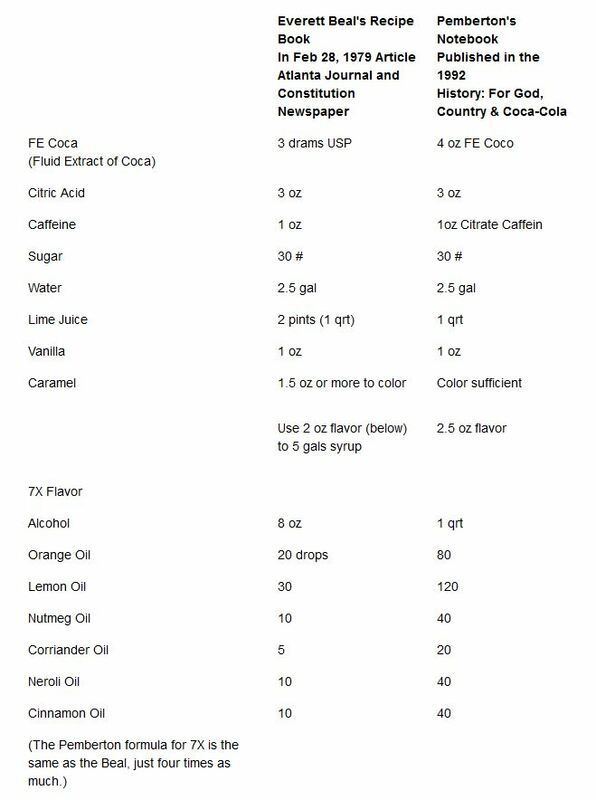 No one person mixes and measures the whole batch (that's just practical, it's not even necessarily a security measure), so keeping the "super-secret-recipe" as it stands today from being published is no more difficult for Coke than it is for KFC. Nor are there highly-paid super-slueths trying to steal the formula against whom Coke needs to take extraordinary measures. Much of the press about our story takes at face value Coca-Cola's statements that we have not found the recipe for Coke, present or past. But when asked if the company has actually checked to see if this formula matches the original formula - which archivist Phil Mooney assured me they still have - company spokespeople always politely sidestep the question. 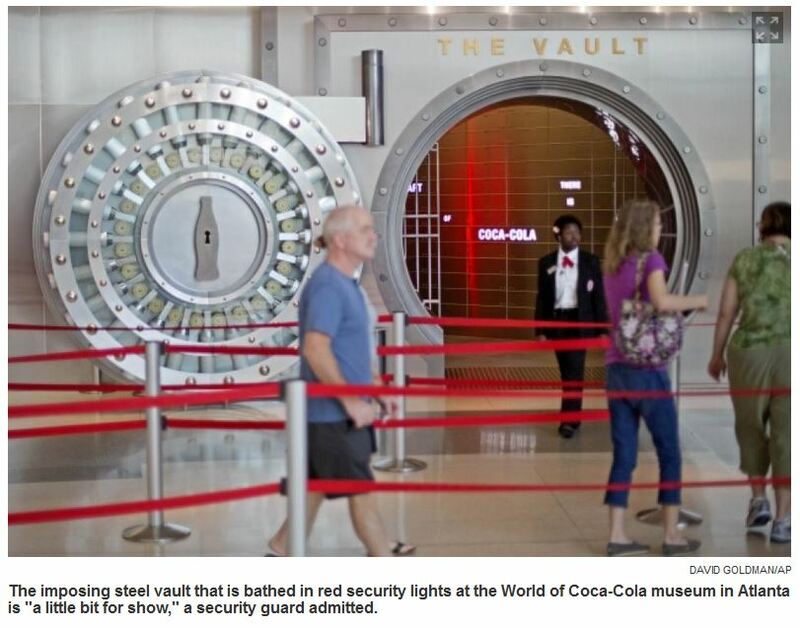 So it seems entirely possible that no one at Coke has checked. If they'd checked to see if the formulas match, why not say so? Phil Mooney even admitted something interesting about the recipe in our interview: "Could it be a precursor? Yeah, absolutely." He then went on to express, as his opinion, not as fact: "Is this the one that went to market? I don't think so." When I wrote this answer, I had no idea that it was going to get so "big" or that Skeptics.SE and Chemistry.SE had taken on the same issue. Had I known, I would have spent a little bit more time researching. I have since done quite a bit more research and I am now even more strongly of the opinion that the secret-formula of Coke is just a normal trade secret, and the hype is just hype for the sake of marketing. Furthermore, the recipe for the 7X (that's even what Coke calls its "ever so super-secret" formula) in the old book pictured at the top of this answer is genuinely either the original formula or a precursor to it. At any rate, it's darn close. 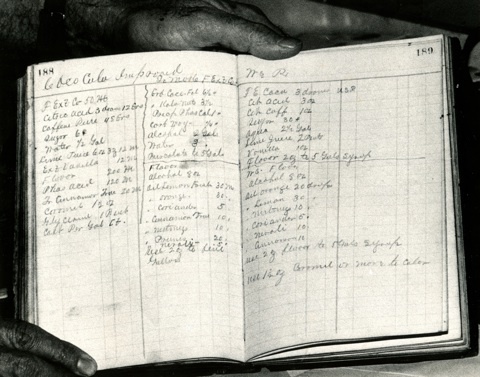 If you're interested in learning more about the handwritten recipe in the book, I strongly encourage you follow this link: This American Life and listen to the recording of the radio broadcast about the book, the formula and the hype. Early in the broadcast they make a point that I've been saying since I first got wind of this completely over-the-top marketing gimmick. One of the legends of "the secret" is that it is only known by two people, and they never fly on the same plane (you know, like the President of the United States and the Vice President). Think about that a second. If the vault contains "the secret" known to only the two men, and the two men died in the same plane crash, wouldn't someone at the company be able to open the vault? If the two men know something beyond that (or somethings, one version of the legend held that each man only knew half the secret) why wouldn't they put that information in the vault as well? Furthermore, if you have a really big secret that you'll go to any lengths to keep, would you shout from every mountaintop, "I know something YOU don't! Nee ner nee ner nee ner!"? So I say again, yes it's a trade secret, it's just a normal trade secret. It's not the Manhattan Project. The hype is just hype, the fact that we're talking about it now just emphasizes how effective the marketing is. Buying into the hype is just drinking the Kool-Aid. Even IF it were so big a secret (as shown it isn't) that doesn't mean that people other than those who know it can't make the end product. The "secret" only concerns one of the ingredients, the flavouring. This could be kept a secret, the people who know it mixing batches of it that get shipped in sealed containers to the manufacturing facilities of the end product. But it's no different from the way yeast cultures are preserved and distributed in breweries, or bacterial cultures in cheese factories. And I DO know about those. And then of course if only a few people know the entire recipe, it's quite possible for a larger number to know part of it. You could have team 1 at facility 1 mix something, team 2 at facility 2 mix something else, ship both products to facility 3 where team 3 adds their ingredients to the mix of 1 and 2, yielding the final "secret mixture". Nobody on any of the three teams would know the entire recipe, and all would be under a strict NDA to not tell anyone the bit they do know. Not the answer you're looking for? Browse other questions tagged drinks mixing organization or ask your own question. Juice recipe recommendation engine to give me recipes based on the ingredients I already have? How to beat one or two egg yolks? How should I prepare kola nuts for creating a soft drink? What do I need to consider when upgrading to a 40 quart mixer?